View More In Air Conditioning Line Repair Tools. 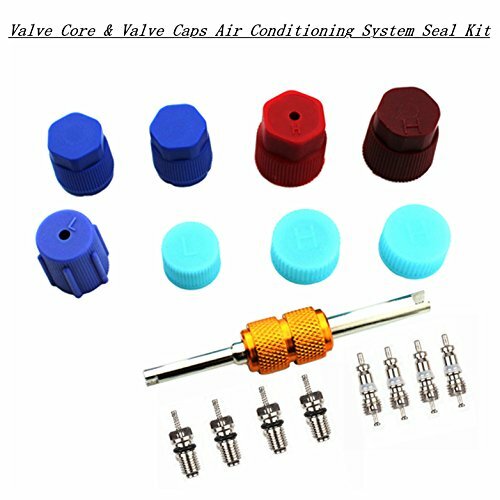 Air Conditioning Seal Repair Kit.A/C valve cores and dual remover installer tool set,works with the most refrigerants. 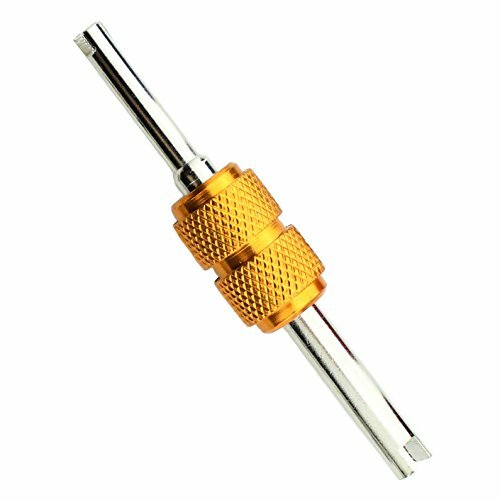 Copper R12/R134a Air Conditioning Pipeline Dedicated Valve Core with Automobile Assortment A/C High Side Service Port and A/C Low Side Service Port . 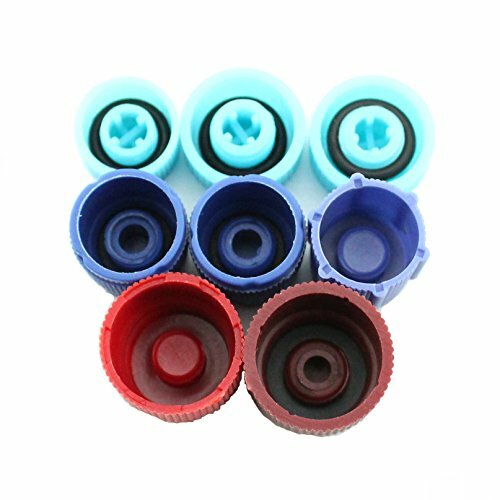 Air conditioner valve core for Car and Home AC, R12 R134a air-conditioning accessories. All the seals needed to complete the job. 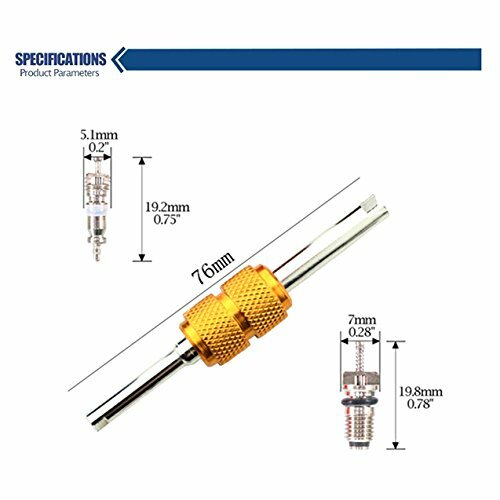 Compatible with both R12 and R134a refrigerants,applies to the replacement refrigerant valve core leak. 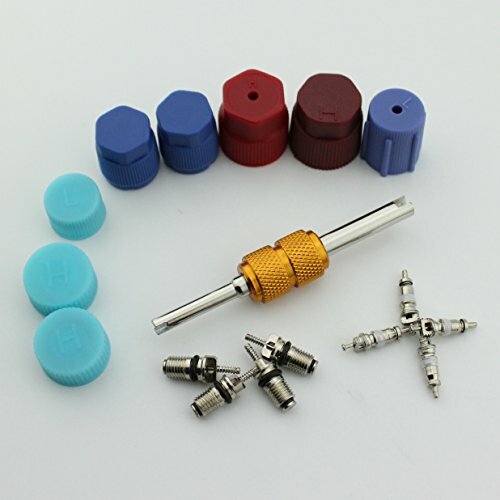 Air conditioner valve core, HVAC R12 R134a air-conditioner accessories, suitable for car air-conditioner replacement and maintenance. 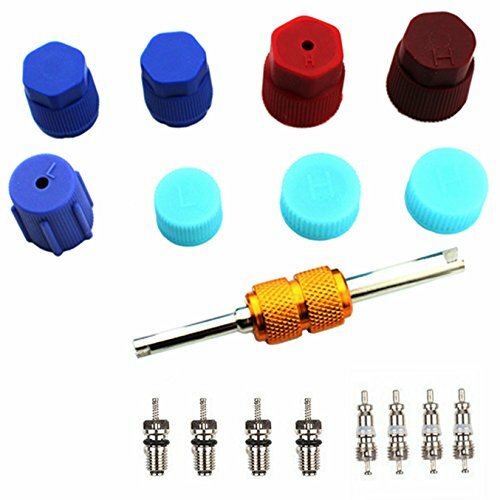 Quantity:4pcs R12 and 4pcs R134a refrigerant valve cores,1 x Dual Head Valve Core Remover Tool, 8 x Seal Valve Caps.